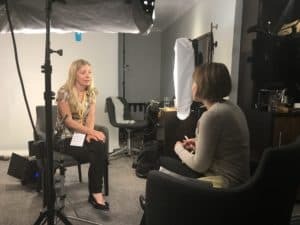 February 2019: Released video set as part of the Diet Doctor member content, Claire appears alongside some of the finest LCHF and Keto experts in the world. In this video series, you can find out their views on some of your top questions about low-carb and women’s health. 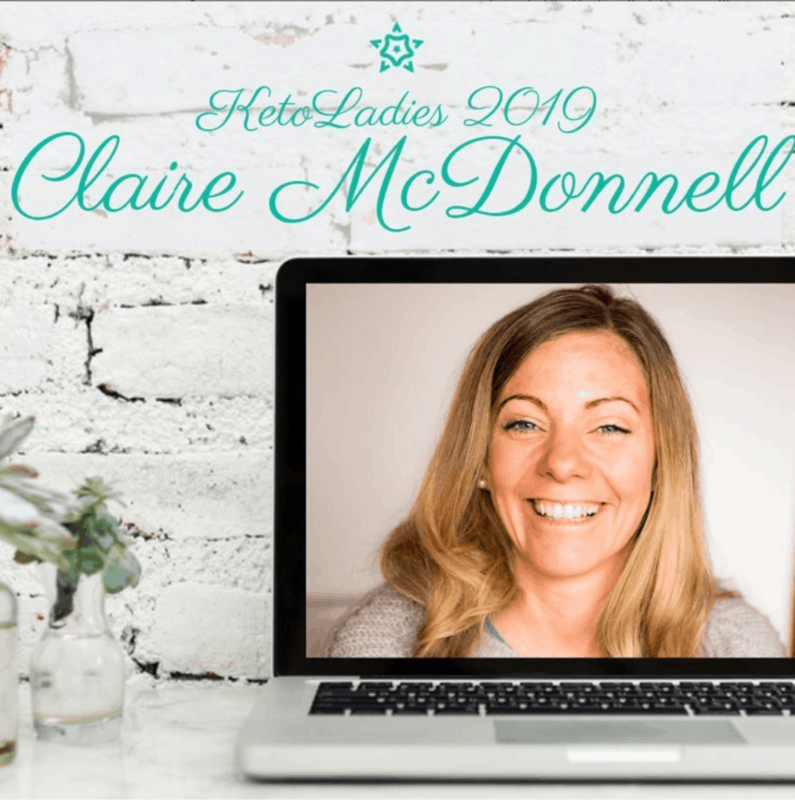 7-10 March 2019: Claire was invited to beautiful Puerto de Sóller, Mallorca, Spain to present at the Low Carb Universe ‘Keto Women 2019’ weekend. 31 January 2019: Metabolic Health Summit 2019, Justin gave 3 poster presentations titled “Ketogenic Diet, Early Intervention and Epigenetics with SCN1A mutation (Dravet Syndrome), “The Effect of Exchange Breathing Technique on Status Epilepticcus Seizures” and “Very Low Carb Dietary Intervention with Autism at Woodside Lodge School”. 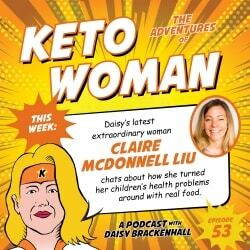 26 October 2018: Daisy Brackenall’s Extraordinary Woman series #53 with Claire on her Keto Woman Podcast. 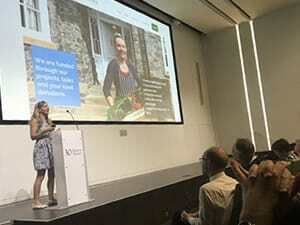 29 August 2018: The full length talk delivered at the PHC conference was featured as a component of Diabetes.co.uk’s Low Carb Program for members. 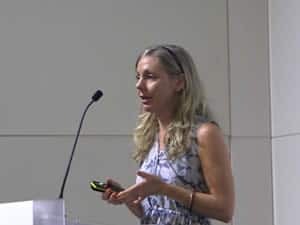 1 June 2018: A lovely review of Claire’s ‘Low-Carb Family’ talk at the PHC from Marika Sboros. Truly honoured to have Marika describe it as ‘One of the highlights of the conference’! 20 May 2018: A fantastic opportunity to speak with the Diet Doctor team about ‘Food as medicine’ at the PHC Conference at the Royal College of General Practitioners London. 20 May 2018: PHC Conference at the Royal College of General Practitioners London. 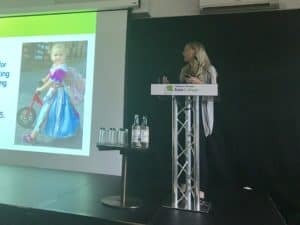 A lovely audience of healthcare professionals and trailblazers – it was an honour to part of this years annual PHC conference. 1 May 2018: Woodside Lodge ASD Outdoor Learning School. We spent one week conducting a real food intervention with some pupils at this amazing school. 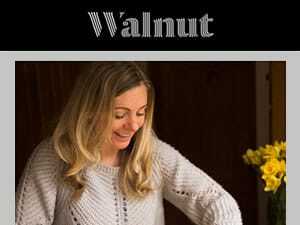 24 April 2018: Big thanks to the lovely Walnut Magazine team for your support in spreading our ‘Food as Medicine’ message! 22 January 2018: Leicester Mercury, UK. 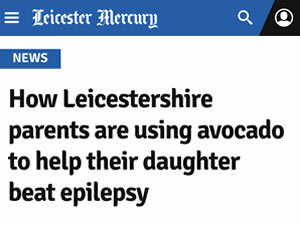 Our local newspaper kindly ran our story to help raise awareness of the ketogenic diet and also promote leafie.org’s quest to help families take control of their health. 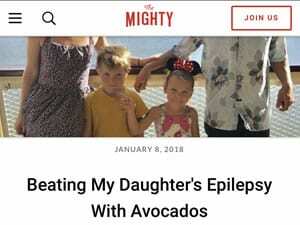 8 January 2018: “Beating My Daughter’s Epilepsy With Avocados” Thank you to The Mighty for featuring our story on their incredibly inspiring website dedicated to dealing with disabling conditions. 18 November 2017: Wyndham Resort, Orlando, Florida, USA. 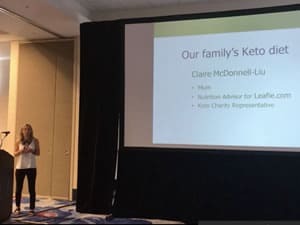 Loved sharing our story and experience of the ketogenic diet for health benefits with parents who are so open minded about long term health care, it’s really inspiring. It was such a lovely way to end our family holiday. 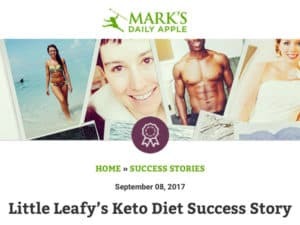 8 September 2017: In this piece we explain how we found and applied the Ketogenic diet, our stunning results for treating epilepsy and some of our favourite Keto recipes. It is great to connect with others in the movement to tackle prevailing health, diet and fat myths. 1 August 2017: We discuss our experiences of overcoming our children’s chronic health conditions, epilepsy and eczema and how I now work in the field of nutrition, supporting others to find their own diet and lifestyle path. 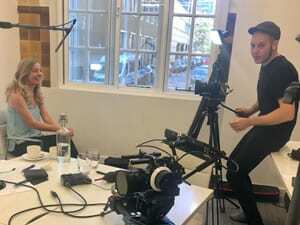 29 June 2017: Todays interview went really well. We discussed my experience with the ketogenic diet, its advantages as well as some of the difficulties of using keto diets. 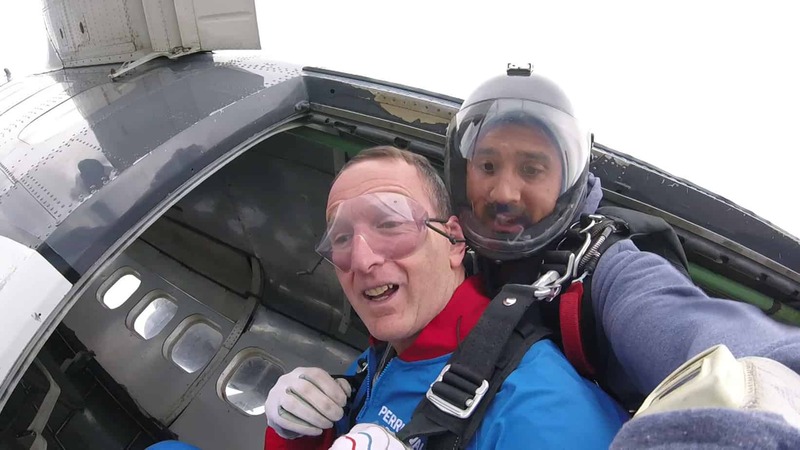 This interview was by Red Goat Film Co, for the amazing Matthews Friend’s UK charity. 28 June 2017: It was a real privilege to be invited as the keynote speaker at Matthews Friends annual Ketogenic Diet College, Surrey UK. 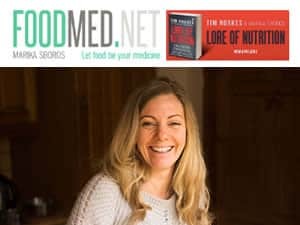 I shared my experience in applying the Modified Ketogenic Diet, what this involved and the stunning results it has brought for my own family. It was so inspiring to see so many international professionals training to deliver keto diet therapies to epilepsy, oncology and neurological patients. Keynote Speaker, Midlands NHS Neurological Grand Round Meeting, April 2017. 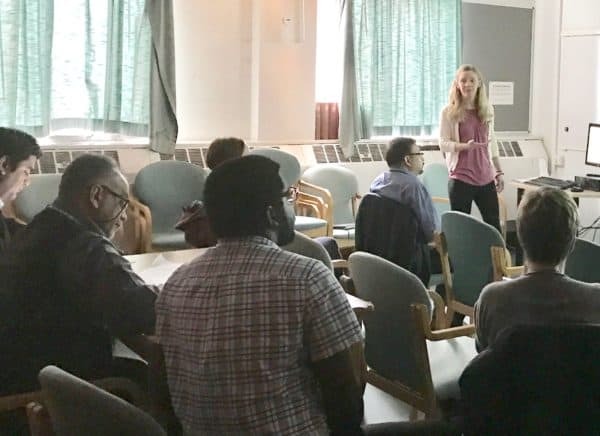 It was an honour to be invited to present to Neurologists, Paediatricians, Dieticians and other NHS health professionals at the Midlands Neurological Grand Round Meeting in Leicester, UK. 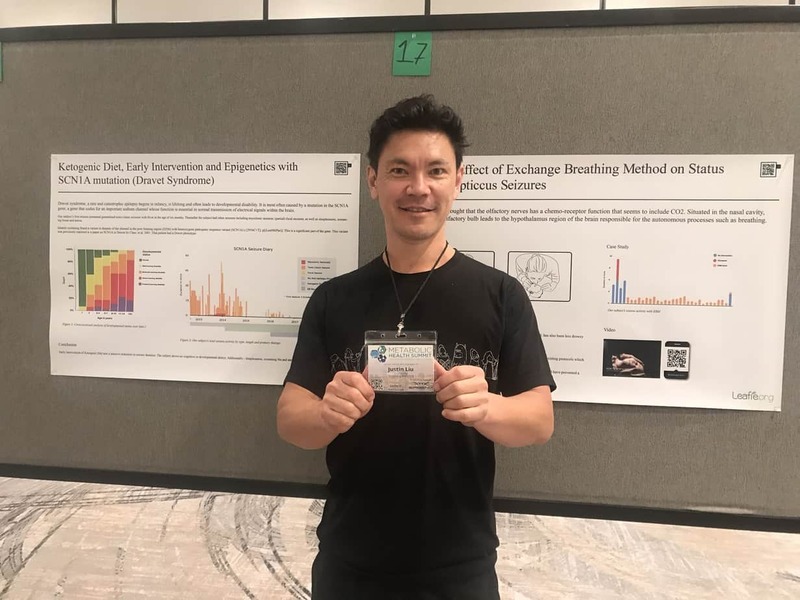 I presented on my success in applying the ketogenic diet, our results and advice to others thinking of using ketosis diets.